On November 15th, The Tundra Spirits Rescue Group held a CPR and First Aid Course at our Hudson Falls location. 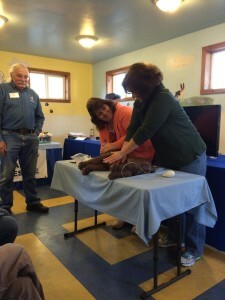 All of our Bellyrubs Staff attended this 5 hour course. By doing so, each of them earned their course completion card as well as the knowledge of how to care for your pet in emergency situations. We are happy to say your pets are in safe hands here at Bellyrubs.